It’s ANZAC Day today. This day is Australia’s (and New Zealand’s) main day for remembering the sacrifice and contribution Australian and New Zealand servicemen and women in particular made to preserve and protect our way of life, our freedoms and our belief in the equality and mateship of us, one and all. Like my earlier post about Tom the Junior woodchopper at the Easter Show, today is a day that with very little effort you can hear and feel the Australian spirit. 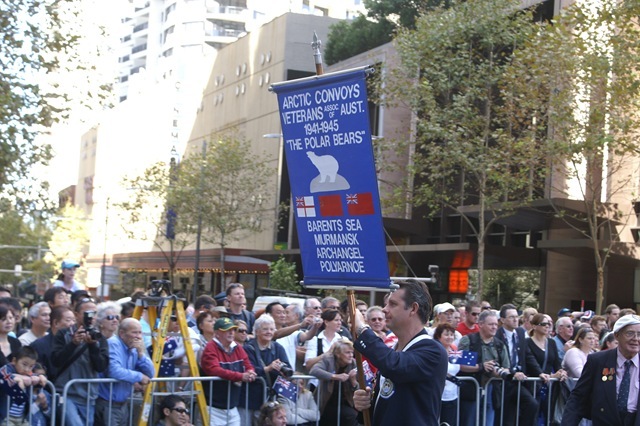 We went into the ANZAC Day March in Sydney today. I was thinking of heading in to the Dawn Service at the Cenotaph as well but didn’t quite make it for that. I defy anyone to stand at the March, watching the old Diggers, sailors and airmen marching past, and not have a lump in the throat, or at least moist eyes. Such pride still from these folks, and indeed, such kindness and gentleness together. One or two show a little of the larrikin still, in the way they walk or wave or some of the things they say. There were those who were recognised as brave, with Distinguished Service Medals and such, but most were just ordinary blokes who were asked to do extraordinary things and who just did them. You can see the mateship still, you can feel the mateship, it is palpable. The sacrifice of these people, the loss of part of their life, their youth – in many cases, their life. Most of these folks lost the part of their life that I enjoyed, they lost the fun of being a young bloke. But also it is important to remember what they achieved. They gave us the feeling we have as a nation today – they gave us our “can-do” attitude. No matter how hard the task, no matter how tough the challenge, we can rise to meet it. They gave us our freedom, and stood tall and proud, drawing a line in the sand that said “this is who we are, this is what we believe, cross this line at your peril”. The diggers, the cavalry, the seamen and the airmen, the nurses and the supporting staff, they all contributed so much to what we are today. It is impossible to hear a pipe band and not feel the goose-bumps, the shiver down the back. 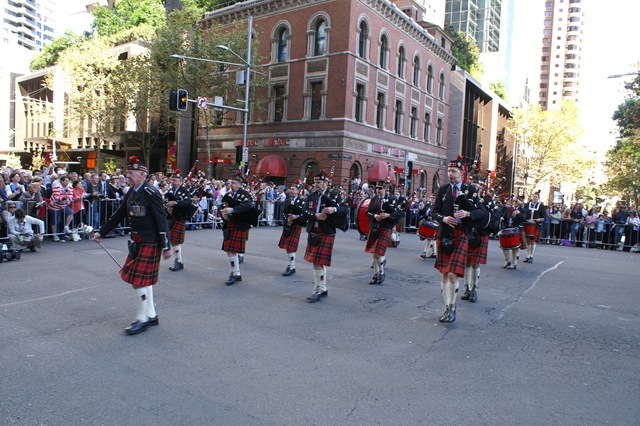 Hear the pipes and watch the chests of all around swell – such pride, such strength, such a debt owed.